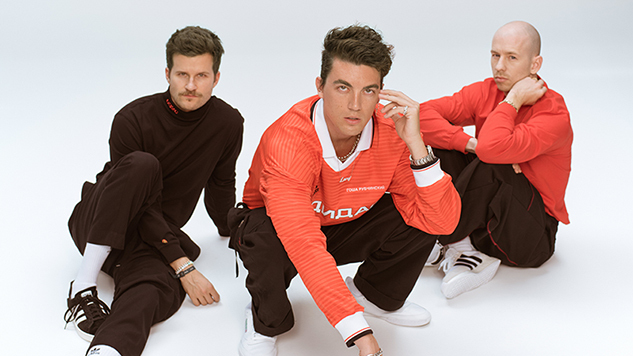 Indie-pop trio LANY are set to release their sophomore album Malibu Nights via Polydor and Interscope later this year. Tuesday, they shared the first taste of that album, “Thru These Tears.” It’s a self-aware track filled with raw emotion. The new album will close out the band’s “rose era”—a nod to their first album’s artwork—and usher in the “moon era.” Like dinosaurs, bands now operate in eras for a streamlined method of keeping track of them. Lead singer Paul Klein describes “Thru These Tears” as “devastating but also really hopeful and optimistic” in a press release. The band frequently returned to working on the song to kick off Malibu Nights studio sessions, honing and tweaking it until they got it just right. Malibu Nights was written right after the band finished touring for their 2017 debut self-titled album. Klein gave himself 50 days to write material for the new record and at the end of it, came out with a full-fledged album, written from top to bottom as a “cathartic experience.” If “Thru These Tears” is any indication, Malibu Nights will be an impassioned album as Klein rebuilds a fragile heart.